You know what we haven't done here on Fantastical Nonsense in a long time? I know...a post! Smartasses! 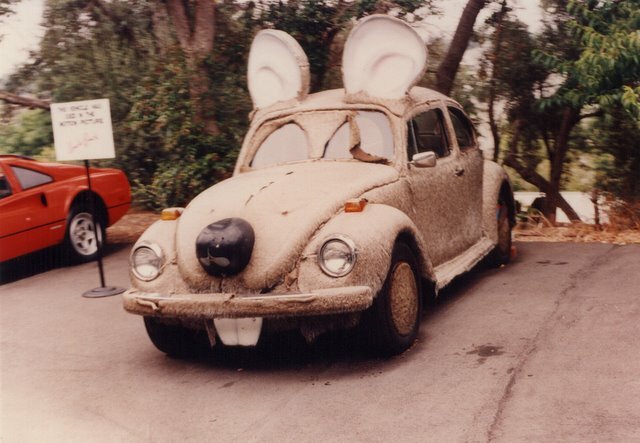 No...a good old fashioned photo feature of ridiculous fantastical cars. It seems that I can find no end to ridiculous choices for a very personal ride. So here's a bunch...with obligatory snarky VE comments, of course. 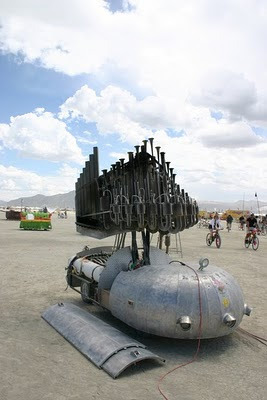 Of course, you can't say it's "hands-free"
Now why didn't anyone else ever mount a pipe organ to a car? 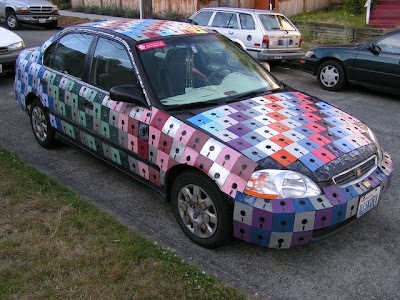 And you were just going to throw away all those 80's era floppy disks! And who WOULDN'T want personal muffin cars???? 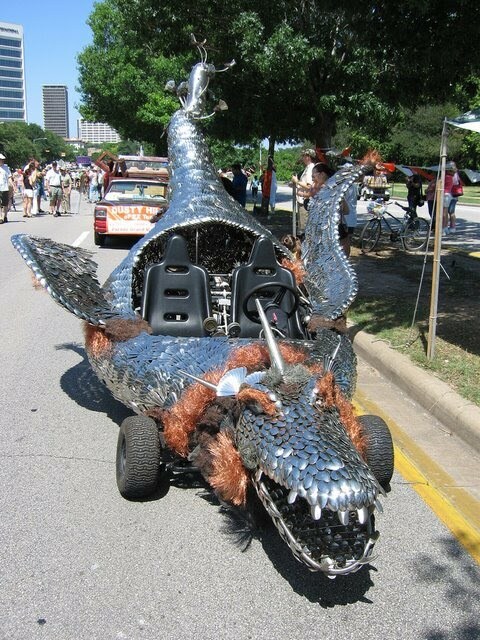 I've heard of drag racing, but dragon racing? 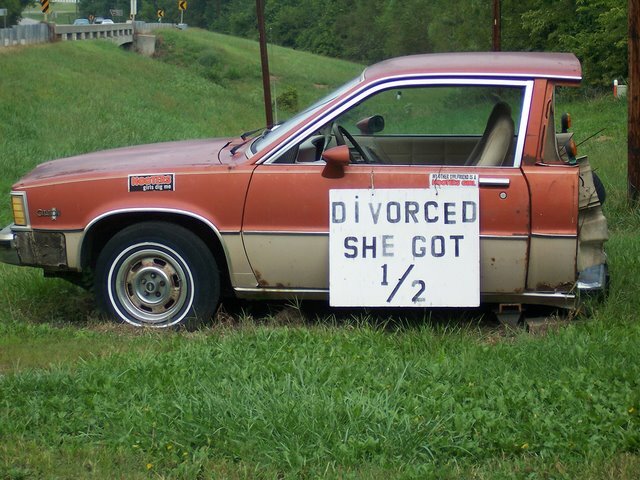 I love the Divorced one, too funny! 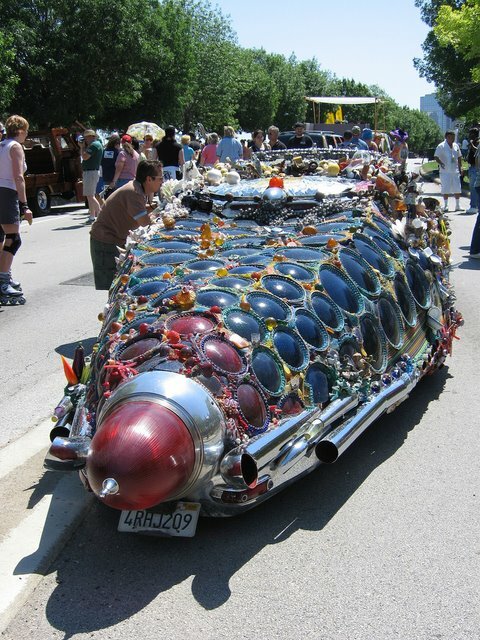 Something tells me you were at Burning Man instead of in St Louis. 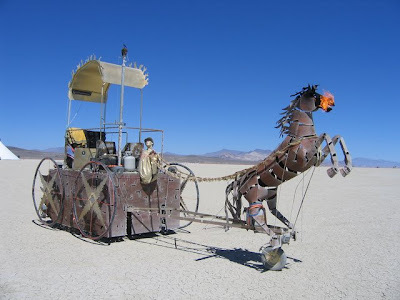 Lot's o' burning man here, but you really dug up some doozies. 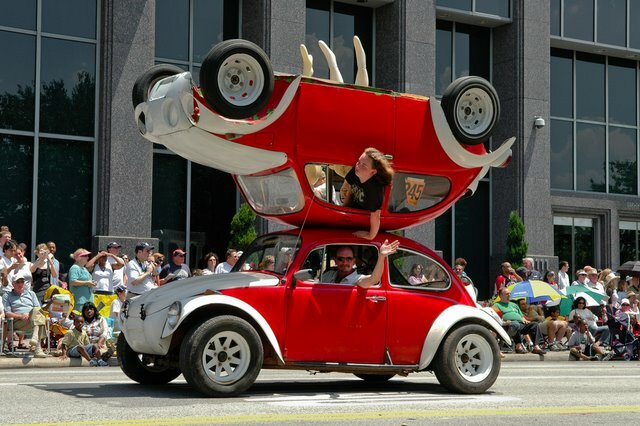 Beetle with the metal skirt and HEY, did you see the cupcakes on that chick? incredible woody - The question really is...is Burning Man ready for VE? I wonder if the person who owns the "shoe car" has been to the Haines Shoe House? LMFAO!!! 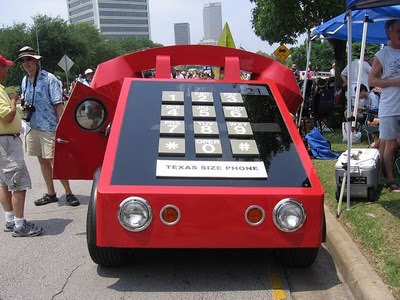 "Car-phone". And I guess th' driver of th' "boot" won't worry about getting one for illegal parking ***snort***~HA! What? 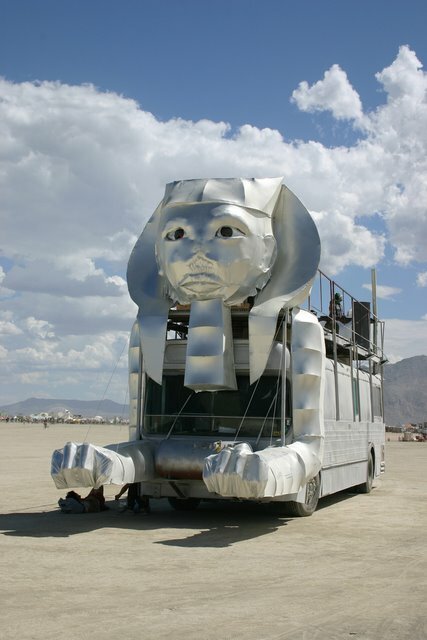 I like the Sphinx bus. I may need to go find that! I'll take a Sphinx and a cupcake, please. There should be a car named the Snarkey. remember when there were floppy disks and hard disks, and then they took away the floppies but still had the other kind but called them floppy disks? sometimes I think IT people just like messing with us. Can't figure out if there is one I like the best, so I decided I like them all. Great job in choosing them. It never fails to amaze me the sort of thing people will put their energies into. That last one looks like a roly poly bug. 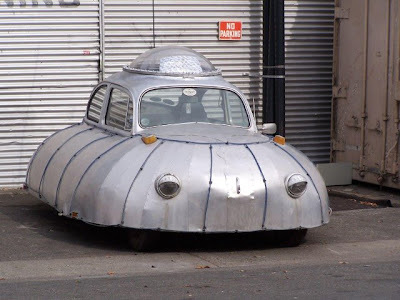 The second one is used by bad guys to burrow through mountains and travel to the center of the earth. I want the dragon car. I want to drive a personal muffin car through the drive-thru at McDonalds. P.S. 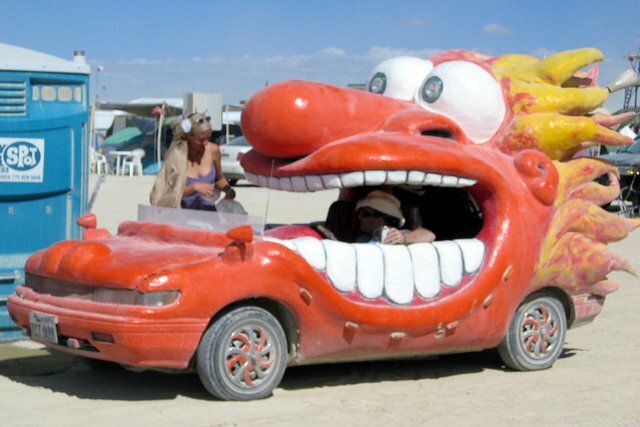 This probably just means my mind's in the gutter, but when I look at that orange "face" car, I see something totally different. i dunno which one i like best. the floppy dish car or the last aluminum skirted one, which reminds me of an old cosby kids character. 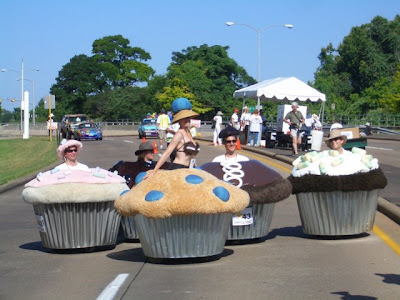 Muffin cars... go perfectly with my muffin top. I couldn’t agree more, Patrick! 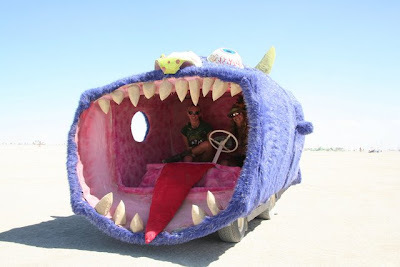 My family and I witnessed a parade of customized cars too, and my kids really enjoyed it! 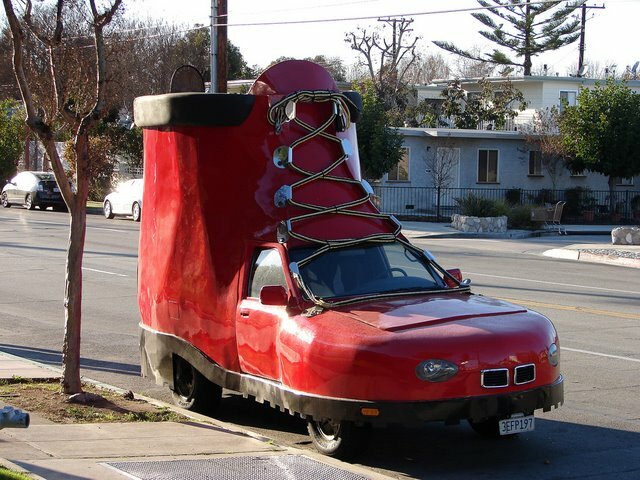 That shoe-car reminds me of McDonald’s shoes! Hahaha!